“The power of public-private partnerships was on display this week at the World Economic Forum’s Annual Meeting in Davos” wrote The Global Fund’s Director of External Relations, Christoph Benn. I’ve written about the power of partnerships before, but I don’t see much evidence of power in this case, at least not from the Global Fund. And this is what is happening in this new partnership between the Global Fund and a suite of multinational corporations – Lombard Odious, Heineken and Unilever. In a BMJ blog post yesterday, Legge, Labonte and Sanders describe the public health threats posed by these partnerships, threats obvious to everyone, it seems, except the Global Fund’s new Executive Director Peter Sands, previously Chairman of the World Bank’s International Working Group on Financing Pandemic Preparedness. The fact of the matter is that these corporations are exercising their power over the Global Fund, not the other way around. 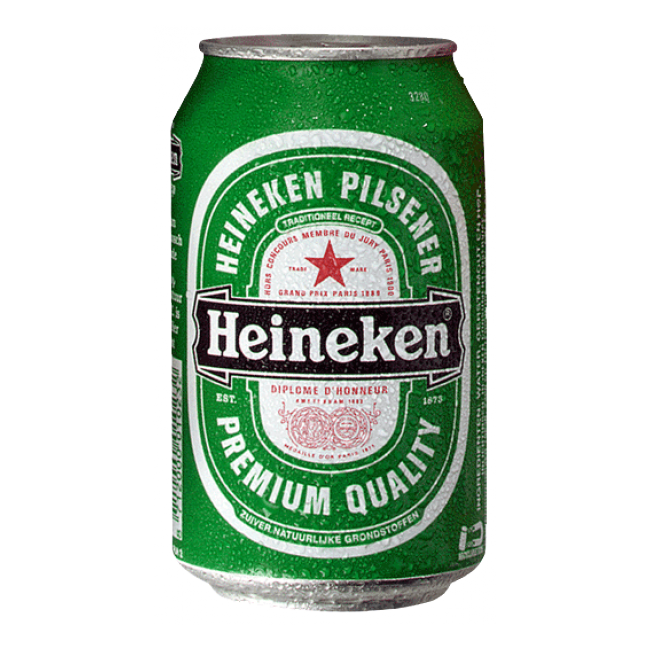 Remember, Heineken exists to sell as much alcohol as it can, and alcohol is a risk factor for TB. A systematic review by Lonnroth et al 2008 concluded: “The risk of active tuberculosis is substantially elevated in people who drink more than 40 g alcohol per day, and/or have an alcohol use disorder”. Alcohol also plays an important role in the health outcomes of people infected with HIV. As Amy Justice and colleagues argue: “Because alcohol use complicates HIV infection and contributes to comorbid diseases, it is important for researchers and practitioners to understand these interactions and to integrate alcohol treatment with medical management of long-term HIV infection and associated comorbidity”. And you wont be surprised to learn “that beer consumption is a risk factor for malaria and needs to be integrated into public health policies for the design of control measures”. So let’s just recap: the Global Fund to fight AIDS, TB and Malaria has entered into a partnership with a company whose one product – alcohol – is a risk factor in each of the diseases the Fund exists to champion. I’m going to shout now: Peter Sands, WHAT ARE YOU DOING! Politically and economically, this is a spectacularly bad decision – it is the Global Fund’s Mugabe moment. You know what I mean by that: In October 2017, Dr Tedros thought it a good idea to appoint Robert Mugabe as a WHO Goodwill Ambassador, an astonishingly ill-judged appointment. The outcry was loud and, to his credit, Tedros rescinded that appointment and won the respect of the global health community for listening and acting appropriately. Sands would do well to follow Tedros’ lead. 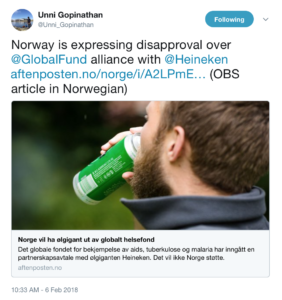 In other words, it is simply not appropriate for the Global Fund to be partnering with Heineken. Sands comes fresh from the World Bank and this is his first opportunity to show to the global public health community that he takes health seriously, that he can make the right decisions, and that – most importantly – he is prepared to talk and listen. Previous Post How does Coca-Cola do it?